You can stop the foreclosure from moving forward. You could even be able to save your home. Stop foreclosure proceedings on your home and get help with your financial issues by contacting Denver Bankruptcy Lawyer Arthur Lindquist-Kleissler. Prevents creditors from repossessing borrowers’ cars or other assets. Be entitled to a portion of the proceeds if their home ultimately has to be sold in order to pay creditors and resolve their bankruptcy case. Automatic stays can be lifted and foreclosure proceedings can continue against them if their bankruptcy case is rejected by the courts. This could occur if there is a problem with their filing documents, they have failed to disclose all of their assets, they have recently filed for bankruptcy, etc. Creditors may try to challenge the automatic stay in order to get it lifted. 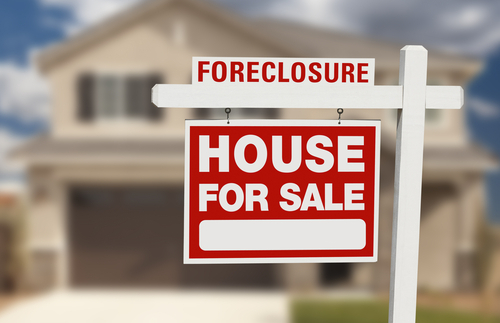 If they are successful, they can proceed with foreclosure proceedings. Debts associated with student loans, court-ordered payments (e.g., child support, spousal support, etc.) and some tax debt cannot be discharged by Chapter 7 bankruptcy. Therefore, creditors seeking payment of these debts may still be allowed to take legal action in an effort to obtain monies owed to them. If you have been threatened with foreclosure, are buried in debt or are facing any serious financial crisis, Denver Bankruptcy Lawyer Arthur Lindquist-Kleissler can help you figure out your best options for resolving your financial issues. For more than 34 years, Mr. Lindquist-Kleissler and the other legal professionals at Lindquist-Kleissler & Company, LLC have been providing both individuals and businesses with the highest quality of legal services when it comes to debt relief and bankruptcy (including civil litigation matters associated with bankruptcy). From simple to complex bankruptcy cases, Mr. Lindquist-Kleissler can always be trusted to help each of his clients resolve their financial issues as discretely, efficiently and favorably as possible. For a free 30-minute consult to learn more about your rights and options, contact us by calling (303) 691-9774, or email us using the form on this page. You will pay nothing up front to obtain trusted, professional advice regarding your case and your options.